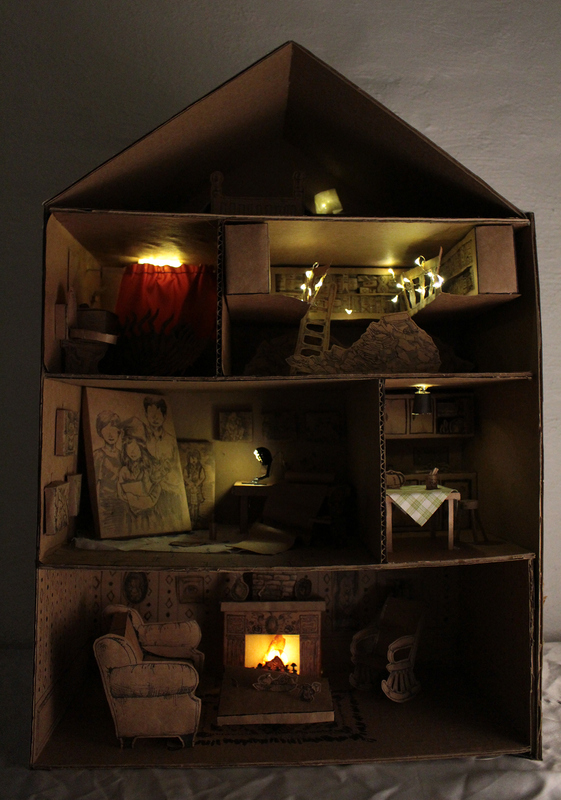 16.5" x 24" x 8.5" Made for a Spatial Dynamics class in 2017 spring semester. 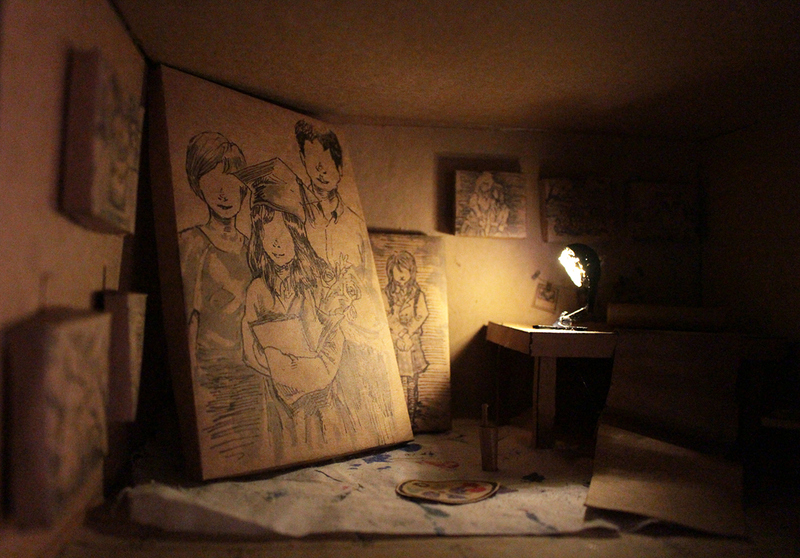 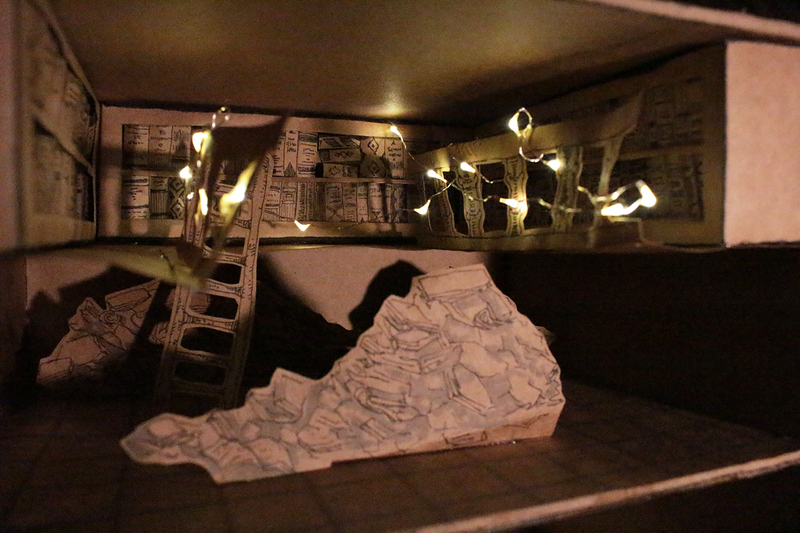 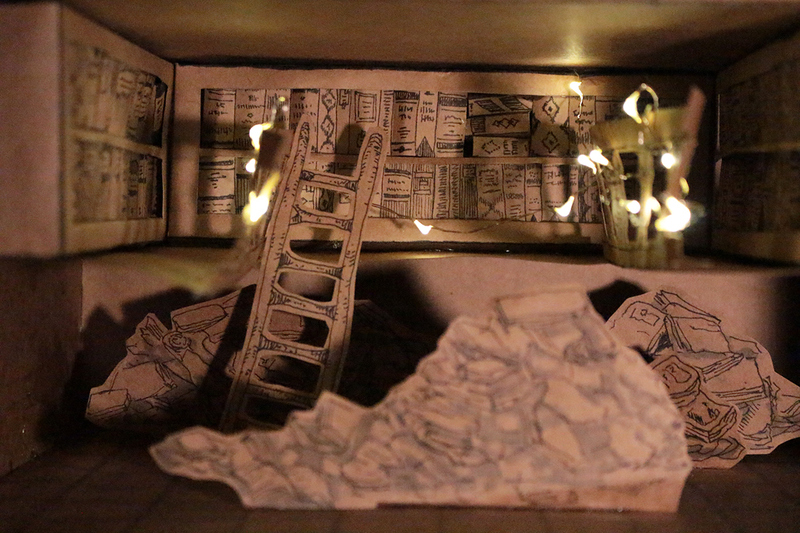 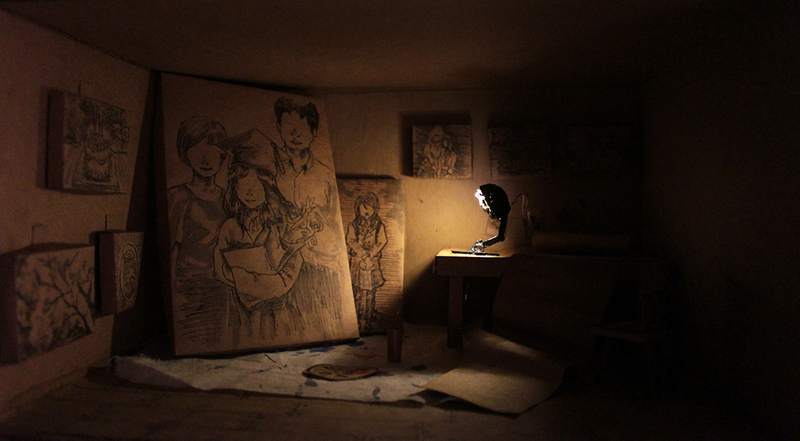 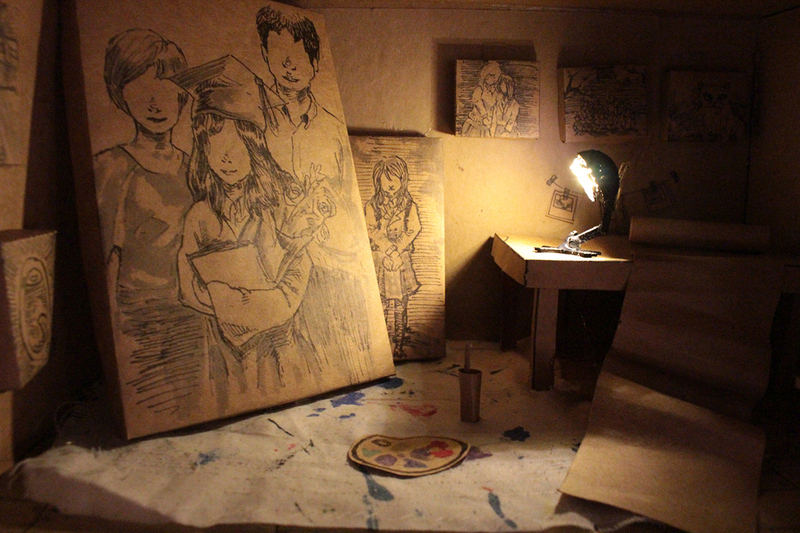 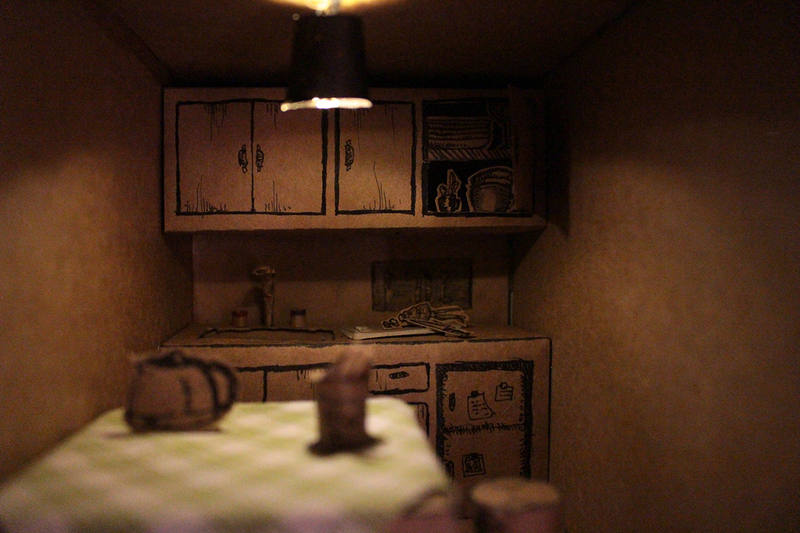 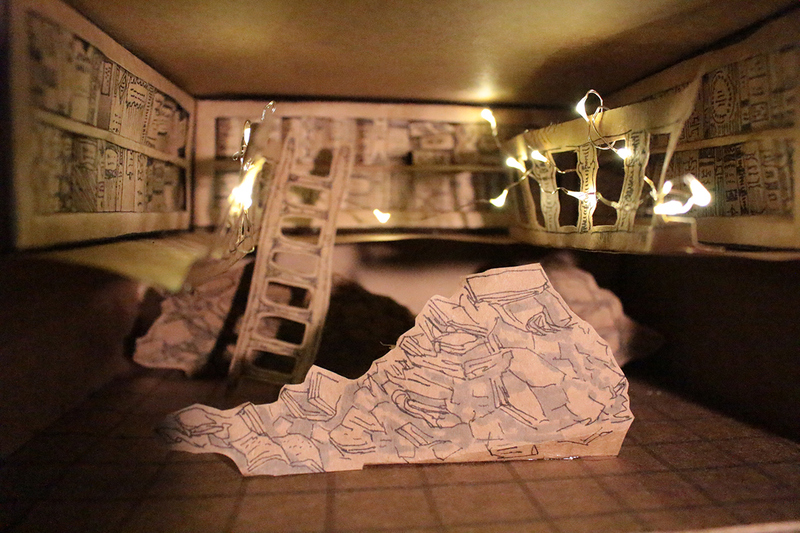 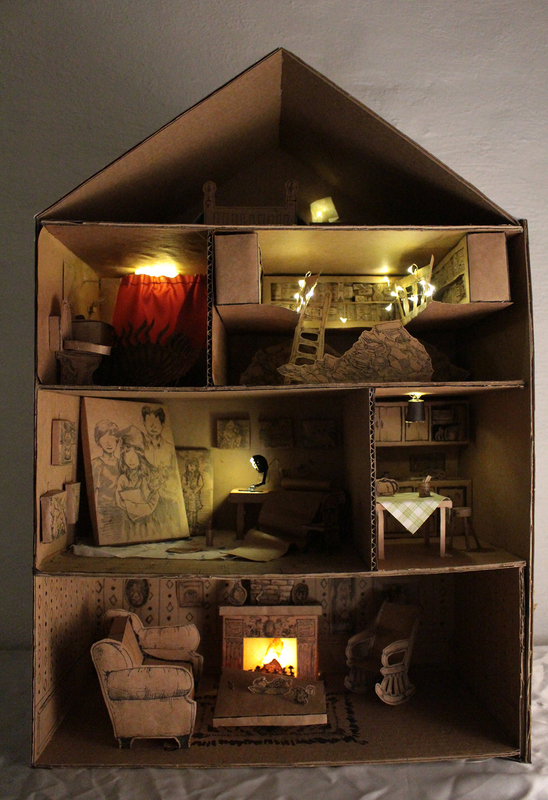 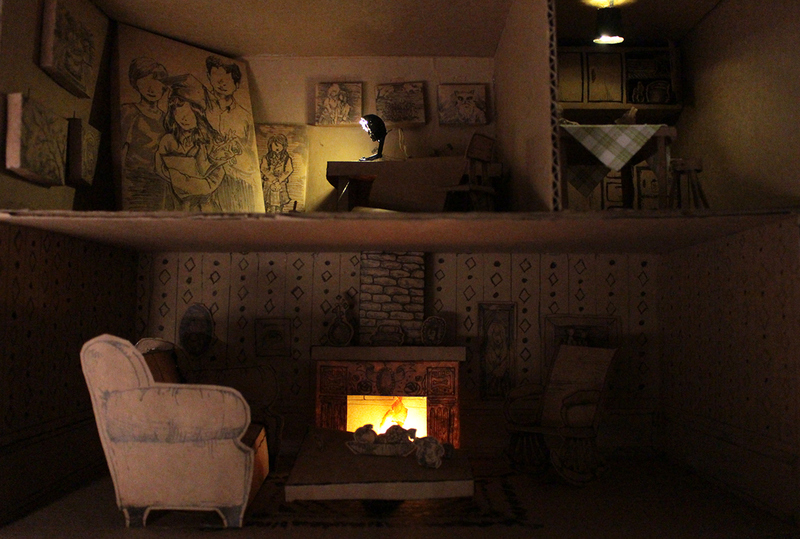 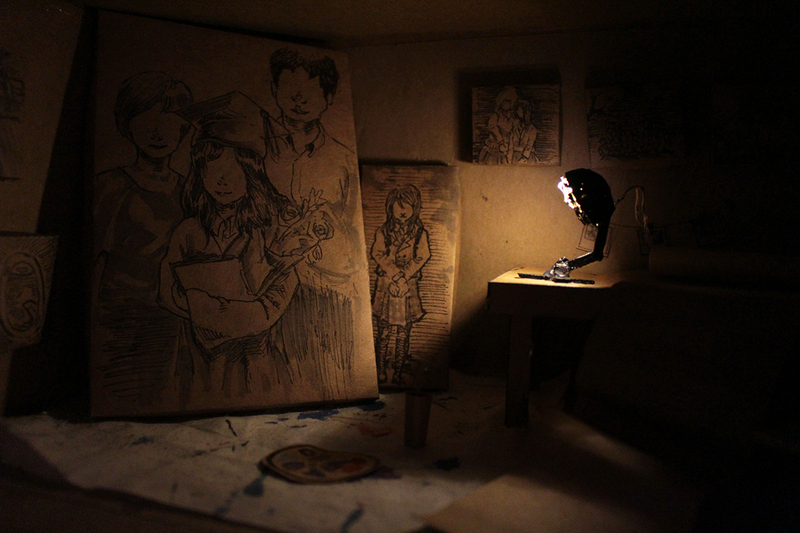 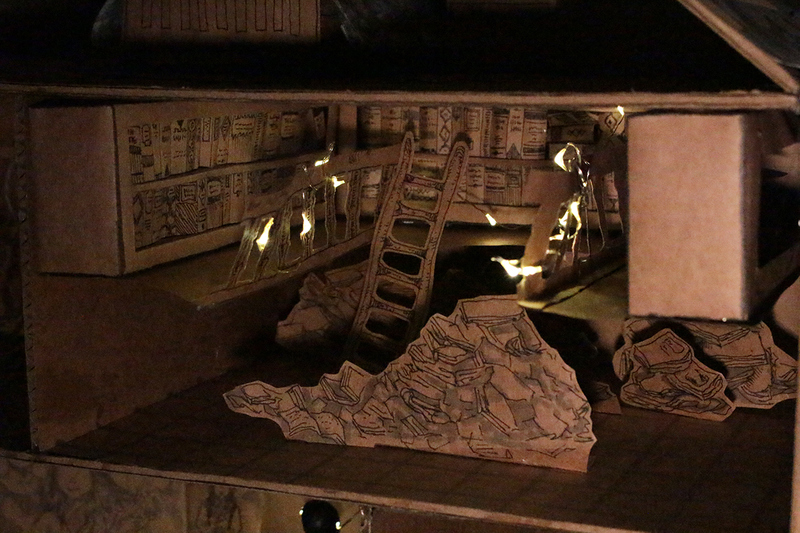 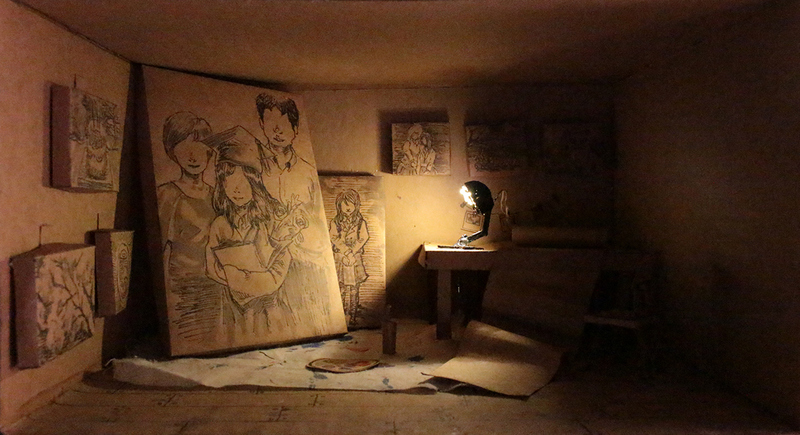 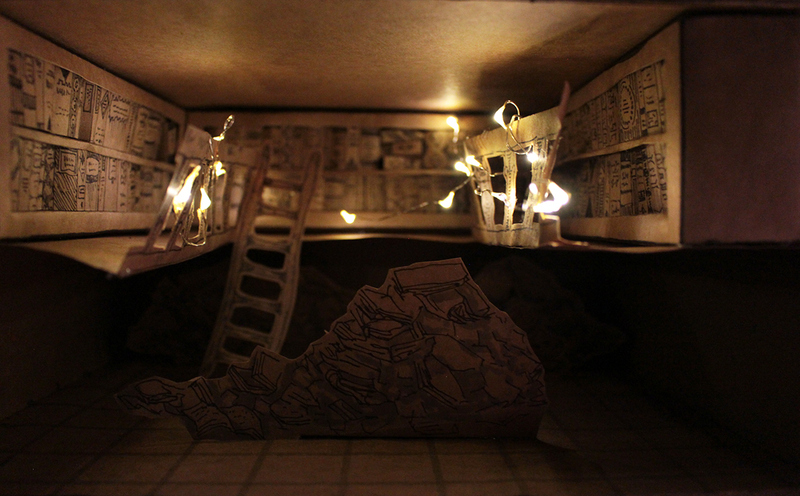 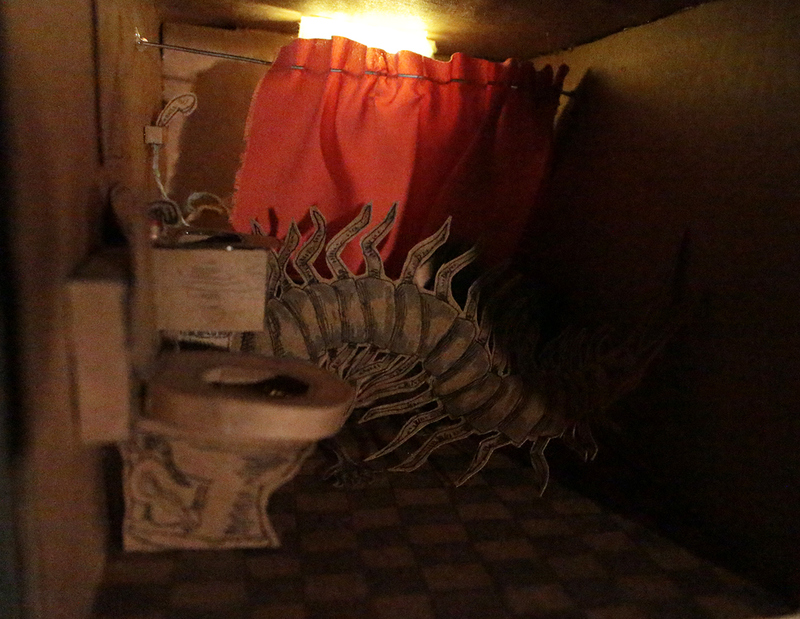 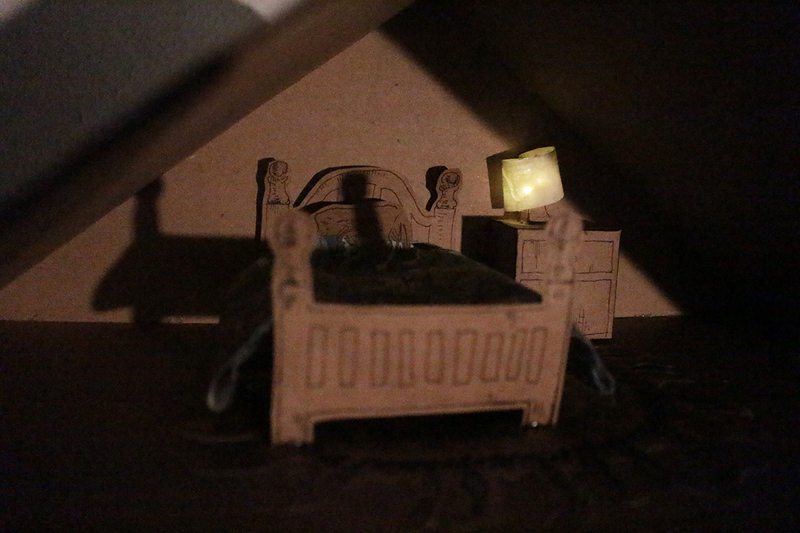 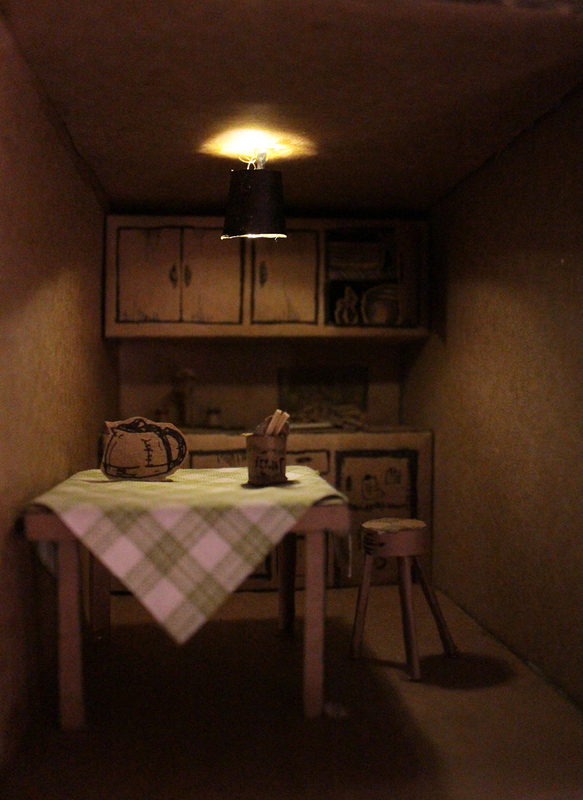 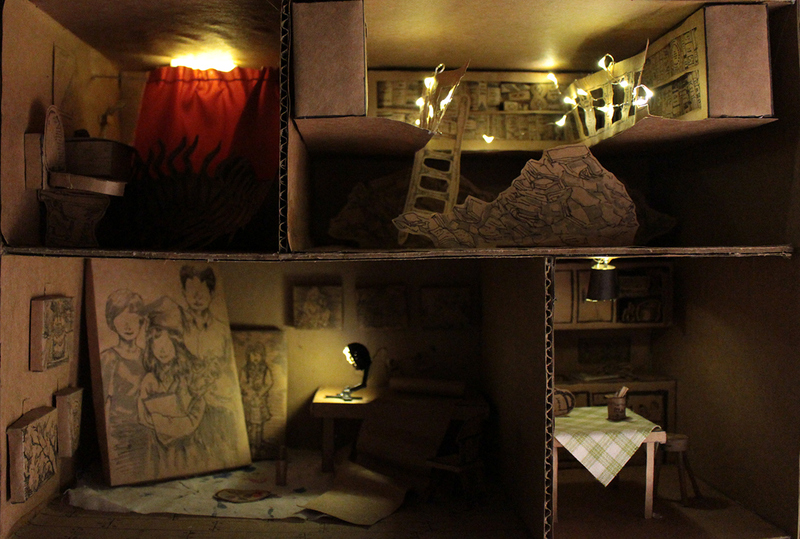 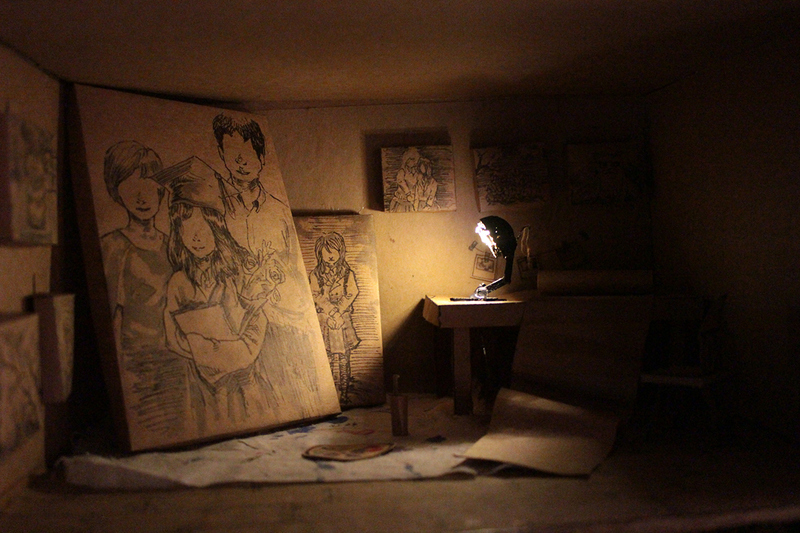 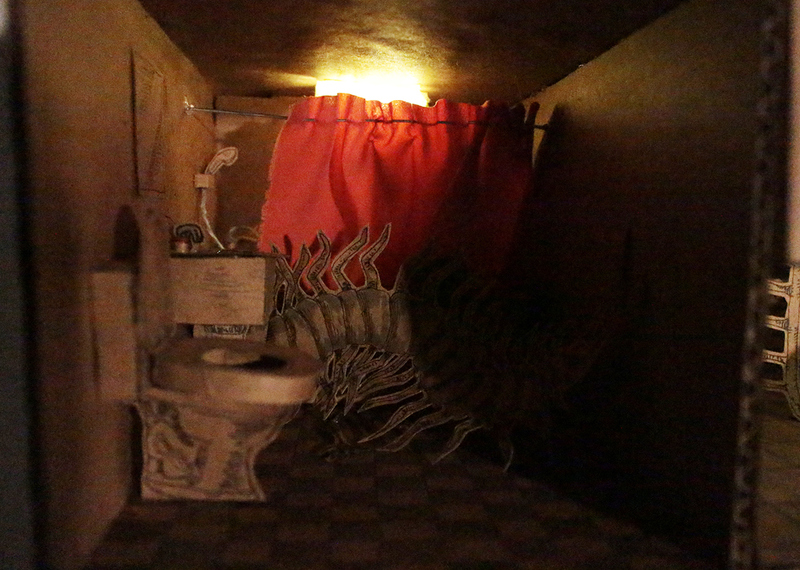 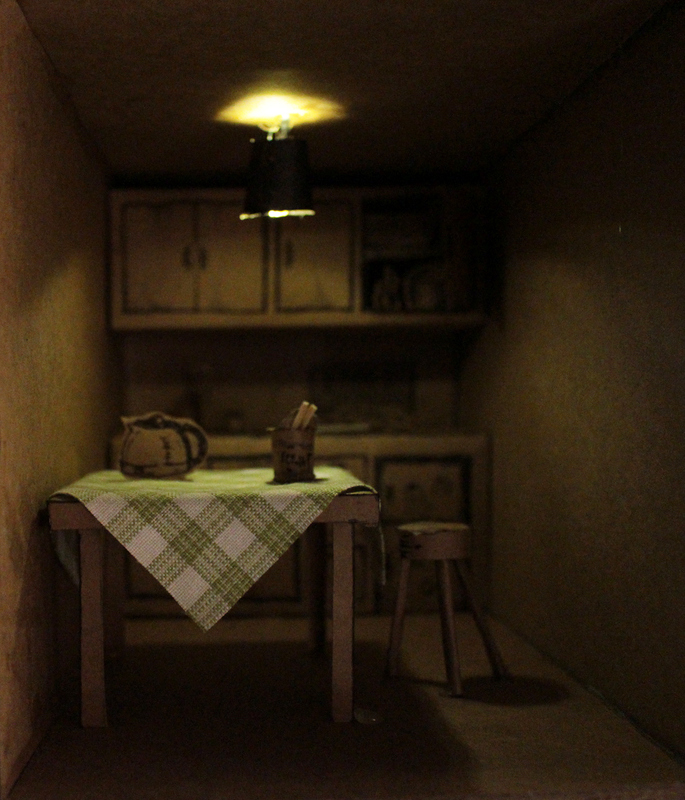 Each room in this miniature house symbolizes part of me. 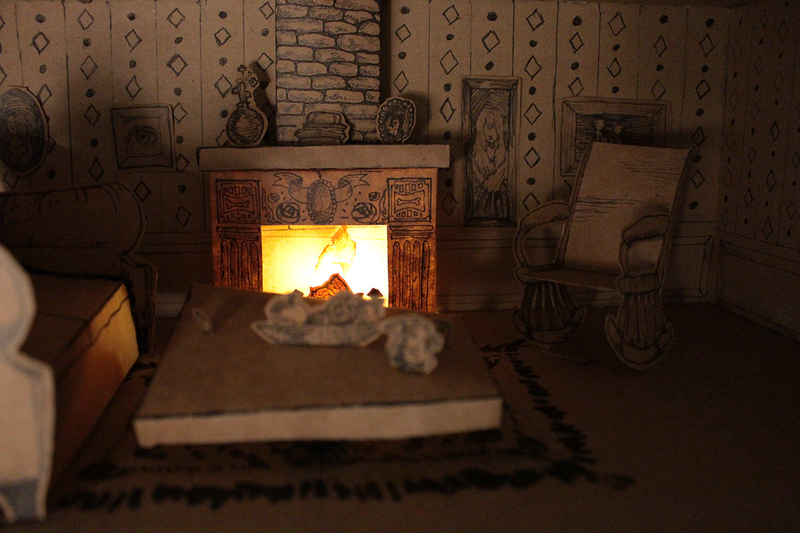 Living room--social connections with people(or social anxiety/pressure), kitchen--nostalgia of home(I used to miss a lot of Korean food when I was studying away from home as a high school student, and I still them now), studio--my ambition and dream as an artist, library--my love for books, bathroom--recollection of my fears(dark place, centipede, and a ghost), and finally, bedroom--the place I feel the most comfortable and could dream without limits.